Here are a few of the more interesting PayPal statistics and facts I was able to dig up. As always, be sure to check back in the future as I will be updating this post as new and updated stats become available. 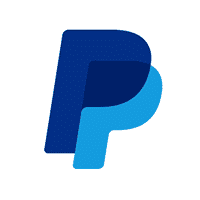 Relatively speaking, PayPal has been around forever which makes it easy to take for granted. That said, who would’ve thought that the little service we used to pay for eBay impulse purchases 10 years ago would become such an eCommerce force and still going strong in 2018? One would think that an online banking platform used by 200+ million people would have an abundance of interesting stats and PayPal certainly doesn’t disappoint. How many people use PayPal? If Paypal was a bank, it would be the 21st-largest bank in the U.S.
Report 2: ePay Company Reports (Alipay, Android, Apple, PayPal, Paytm, Samsung, Square).